How about a fun new Halloween-themed table runner pattern? This set is SUPER easy to piece and crazy versatile! Just need the blocks? Use them for whatever you like! Want a quick table runner? Piece the three blocks, add borders as shown in the pattern and you’re good to go! I shared a Jack-O-Lantern block in my video yesterday and mentioned that the pattern was coming soon. I originally designed this fun piece for a magazine. They passed on the pattern and it’s been collecting dust in my sewing room ever since. 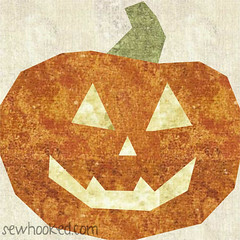 Tis the season for Trick-or-Treat and what better way to decorate than a fun table runner? 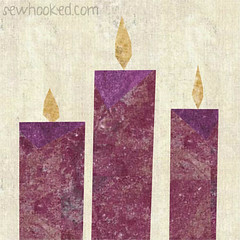 Pattern includes two, full-color 8″ block patterns and instructions to create the table runner shown above. Want a wall hanging instead? Simply piece the blocks vertically! The same instructions will apply to the wall hanging shown on the left as the original table runner. Slightly more fabric will be needed for the example on the right. How about a longer table runner? Just add more blocks! I love a little versatility! 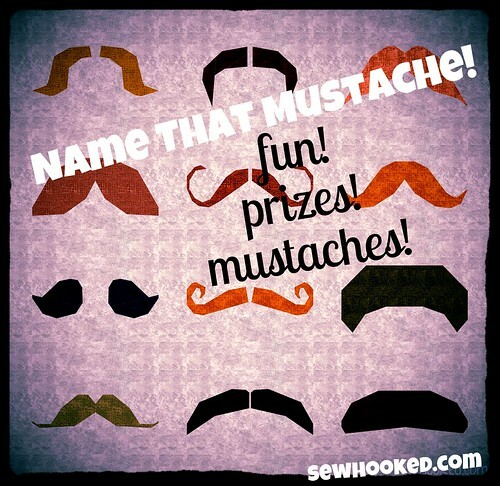 Don’t miss Name That Mustache every Monday in October! See you tomorrow for another Halloween craft blast from the past! Woo, that’s some serious rhyming! 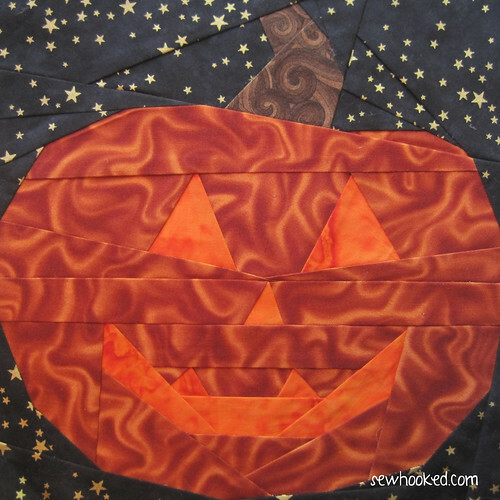 This entry was posted in Craftsy, designing, halloween, Holidays, paper piecing, shop and tagged all hanging, craftsy, halloween, jack-o-lantern, paper pieced, paper piecing, table runnerw on October 9, 2013 by Jennifer Ofenstein. Adorable! Love the title too! Thank you! It’s super fun and fast to make. Even with a break, it only took me about 3 hours. 🙂 Now, of course, it needs quilting! love the “flame” fabric for the pumpkin!! !